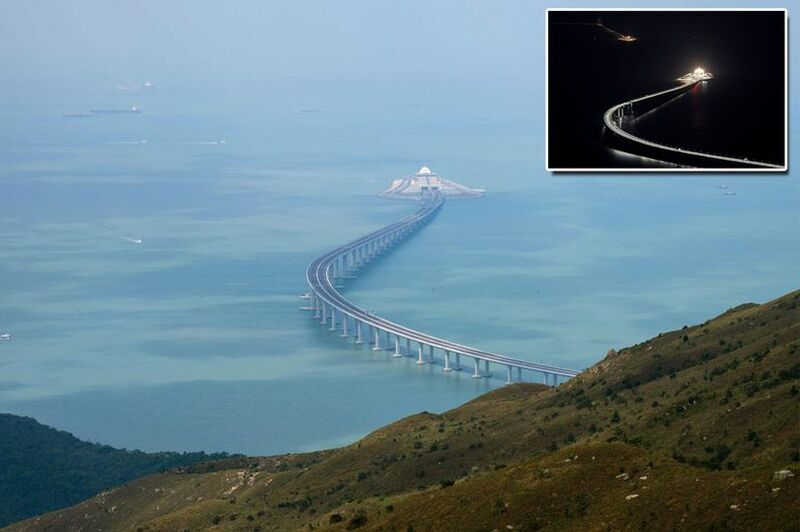 The world's 'most terrifying' bridge has opened in China with a 34-mile crossing that sends drivers plummeting into the sea. 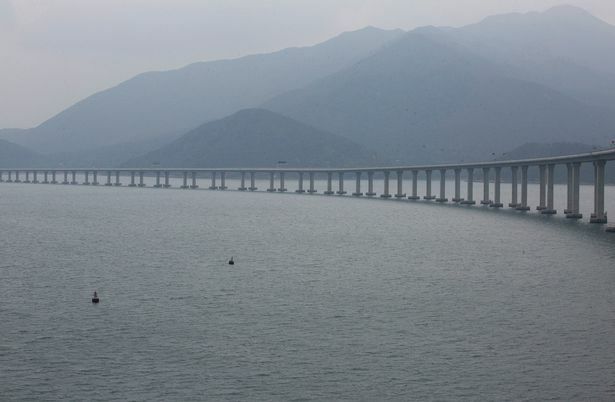 China has completed a gigantic new bridge linking Hong Kong to the mainland of the country. 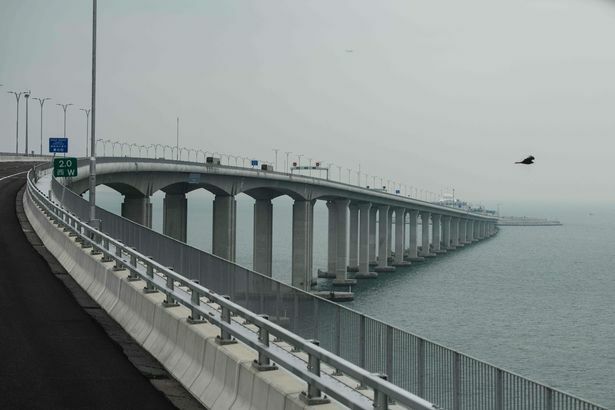 The terrifying $20bn structure will be the world's longest sea-crossing bridge when it officially opens later this week. 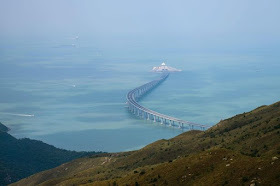 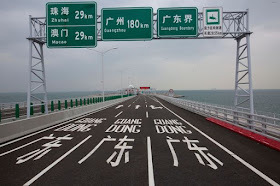 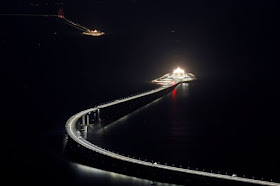 Drivers will need to be able to stomach the winding 55-kilometer (34-mile) span that connects Hong Kong to Macau via the major Chinese city of Zhuhai. 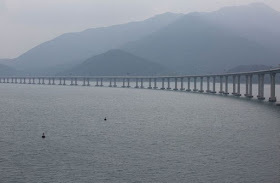 The enormous bridge crossing will also see cars descend into a 6.7-kilometer (4-mile) submerged tunnel that was built to allow shipping containers to pass overhead. 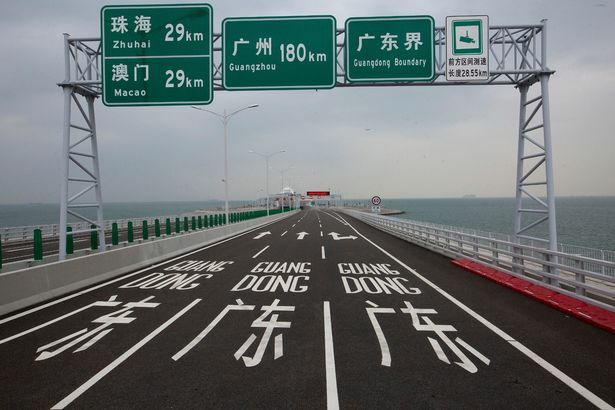 Chinese President Xi Jinping will attend the opening ceremony in Zhuhai on Thursday, bringing an end to the ambitious construction project which has taken nine years to complete. The bridge is part of plans for the Greater Bay Area which covers 56,500 square kilometers and incorporates 68 millions people in 11 different cities.